Combining a hotel tower with a core and shell office tower adds lots of complexity. The 255 S. King project consists of a 297-room 325,000 SF hotel atop a four-story podium containing parking and pedestrian-level retail space. The hotel contains a conference center and a health club with a pool and is operated by Embassy Suites. 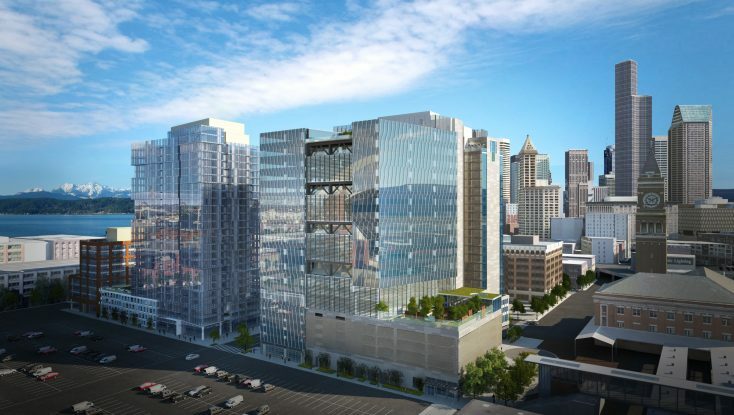 Connected by an atrium, the second phase of the project adds a 10 story, 186,000 SF core and shell office tower to the podium. The office tower currently has one large tenant and several yet to be leased floors but will share amenities provided in the podium floors. A large top story eating and drinking establishment is included. 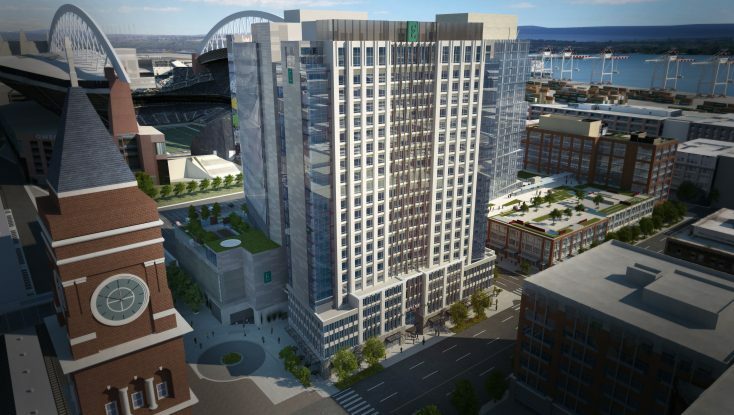 To address the challenge of a phased project with a LEED 2009 for New Construction hotel and a LEED 2009 for Core & Shell office tower on a shared podium, we took a master site approach with two separate LEED certifications, one for each building. Both projects received LEED Silver certification in 2018. Project was designed by Freiheit & Ho and is being constructed by SODO Builders.